When I was in high school back in the seventies, one of my favorite things to do was go to the school dances. It wasn’t so that I could dance because I really didn’t dance. It was to meet up with friends, scope out my latest, weekly crush and to just have fun watching others have fun. At those dances, everybody would liven up when the more danceable songs were played (for those fortunate souls who could actually dance, that is). One of the bands that definitely got the kids excitedly onto the dance floor was KC and the Sunshine Band. There was something about the danceable, carefree sounds from KC that made one want to dance and do so with a smile on your face. Such were the not-a-care-in-the-world seventies. 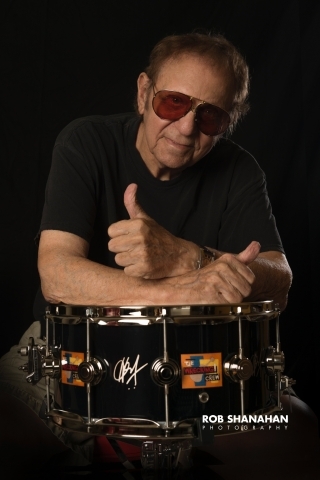 I was recently offered the opportunity to chat with Harry “KC” Casey, who is currently on tour in the U.S. What an honor it was to be able to chat with one of the people who contributed so much to the soundtrack of my youth. After some small talk and relayed greetings from mutual friend, Rob Parissi, I asked KC what he has been up to lately. With these kinds of changes in place, I wondered what kind of show that his fans could expect on this tour. “Well, we have a lot of hits so the shows are mainly of the number one hits that we had. The girls and I change costumes during the show so during those parts, the band does melodies of cover songs from the seventies just to keep the whole show familiar to the audience. When I go to shows these days – especially artists that I admired when I was a kid – I always make sure that I notice what the makeup of the crowd is. Regardless of the act, it always amazes me at the age mix that is in the crowd. I asked KC what was the demographic mix is of his crowds. While still on the subject of audience expectations, I asked KC what will be different from when they saw him and the band in the 70s and what will be the same. He responds after some brief reflection. In all of KC’s years of touring, what’s been the most memorable thing that has happened on the road? Laughing, he say, “Oh boy! I don’t if I can remember anything! It was very chaotic to me. That’s what I really remember about it all – how chaotic it all was and how lonely it was for me. It was very lonely for me. Probing a little deeper into his answer, I asked in what way and why he felt lonely. As an interviewer, I know that the people that I’ve been very fortunate to interview have been asked the same questions thousands, if not millions, of times. With that volume of repetitious questioning, they are expected to answer as if they’ve never been asked those questions before. With that in mind, I asked KC what would be the one thing that he feels has been least covered and understood about him and his work. Again, after giving the question some thought, he says, “The least understood? I know that we created a new sound. We changed the sound of America in the seventies. Sometimes, I think because of the word ‘disco’ there this backlash, sometimes, because of this word, that we get thrown into that. If you come to one of my shows, it’s not a disco show, for sure. There’s nothing wrong with disco and I guess that’s the point I’m getting at. As I often ask during an interview, I asked KC if he was in his late teens or early 20’s today, as he was in the 70’s, how would he enter the music business today, given what he knows now. Without hesitation, he responds. 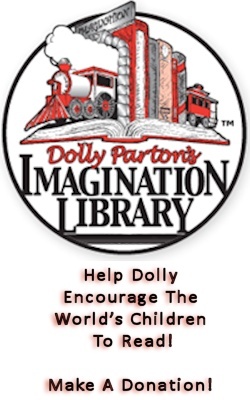 “I went into it with a lot of knowledge to begin with. The only thing that I might do a little bit different is in the promotion and marketing department for KC and the Sunshine Band because people know my music. Sometimes, if you say my name to somebody, they’ll go ‘Huh?’ Then you say the song and they know exactly who it is. Because I handled my career in the very beginning, I managed myself and the group, the whole thing. The only thing I probably neglected in doing was the marketing and promotion of that name. I tried to stay out of the PR part of it. We were in teen magazines and a lot of that kind of stuff but I kind of kept a lid on how much was let out. Would his style and musicianship be different? “Growing up in a gospel church, I always loved music that came from the heart and soul – that moved you. That’s the kind of music that I was doing. So, I don’t think that I would change anything. With our time just about to come to a close, I wanted to find out what’s next, CD wise, coming from KC and the Sunshine band. I’m always curious what artist listen to on their iPods. I’m often surprised by some of the responses I get. For some reason, given the level of musical talent and knowledge KC has, I assumed that his listening habits covered a multitude of musical genres. Our phone conversation concluded after some more small talk. I couldn’t help but think how great it must make one feel to know that they’ve contributed great music to the soundtrack of an entire generation. Not just music but music that brings a smile to countless faces and inspires one to dance . . . even if they can’t. KC and the Sunshine Band has done exactly that for those of us who were teenagers in the mid to late seventies. And, as KC mentioned during our chat, his music has inspired new artists in the creation of their music. 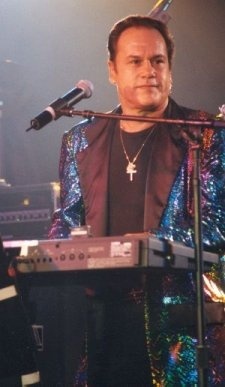 If you would like to keep up with KC and the Sunshine Band, you should visit his website, www.heykcsb.com. You will be able to get the latest news about the band as well as pick up music and memorabilia from their store.